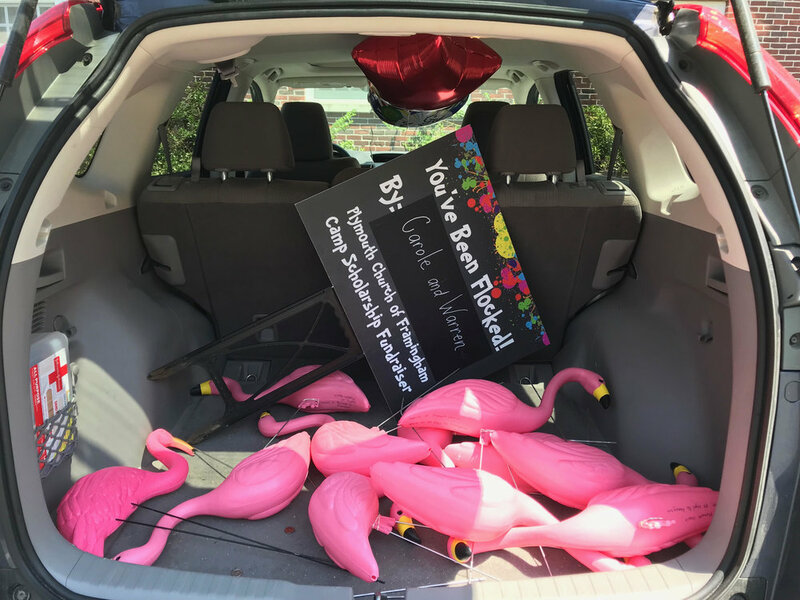 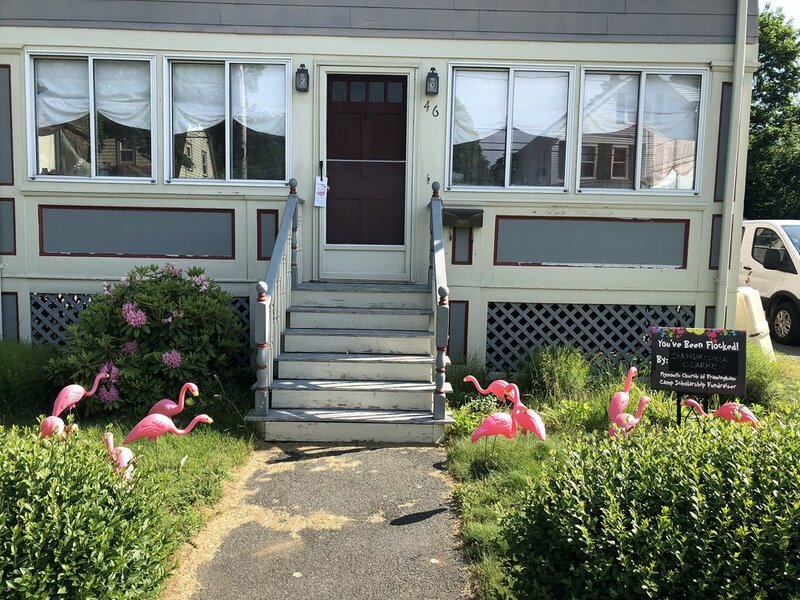 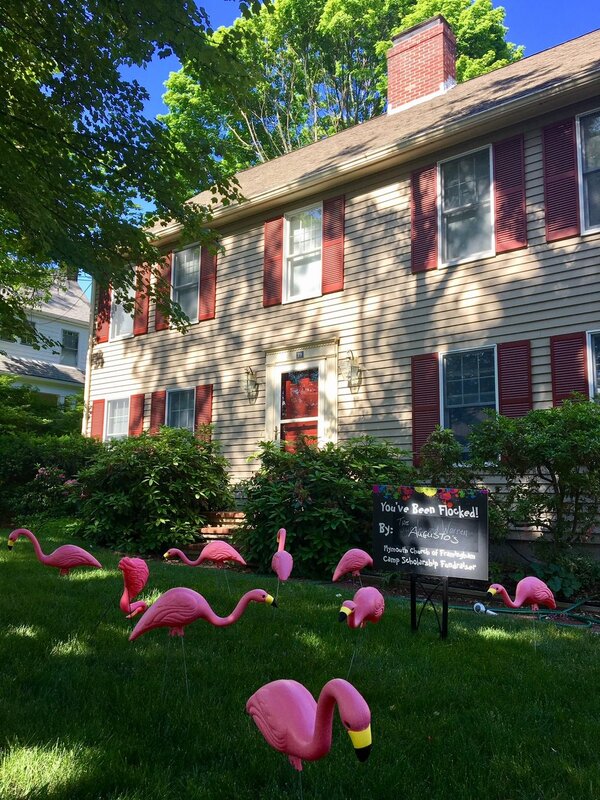 Flamingo Flocking is a church fundraiser whereby friends send a flock of plastic flamingos to "roost" in one another's front yards by making a donation to The Plymouth Church Campership Fund, which ensures all of our kids can attend church camp at Pilgrim Lodge in Maine regardless of their family's ability to pay. 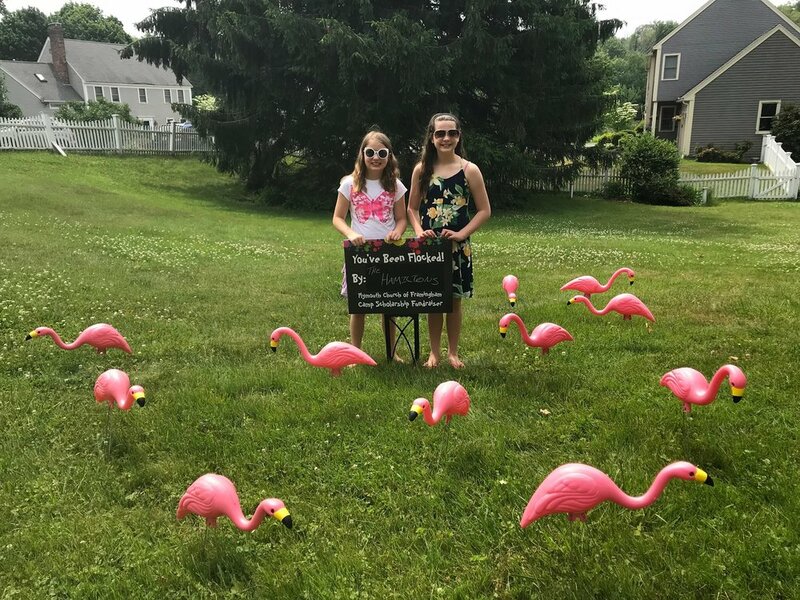 Flamingo flocks arrive by night and roost for 2 days before moving on to their next destination. 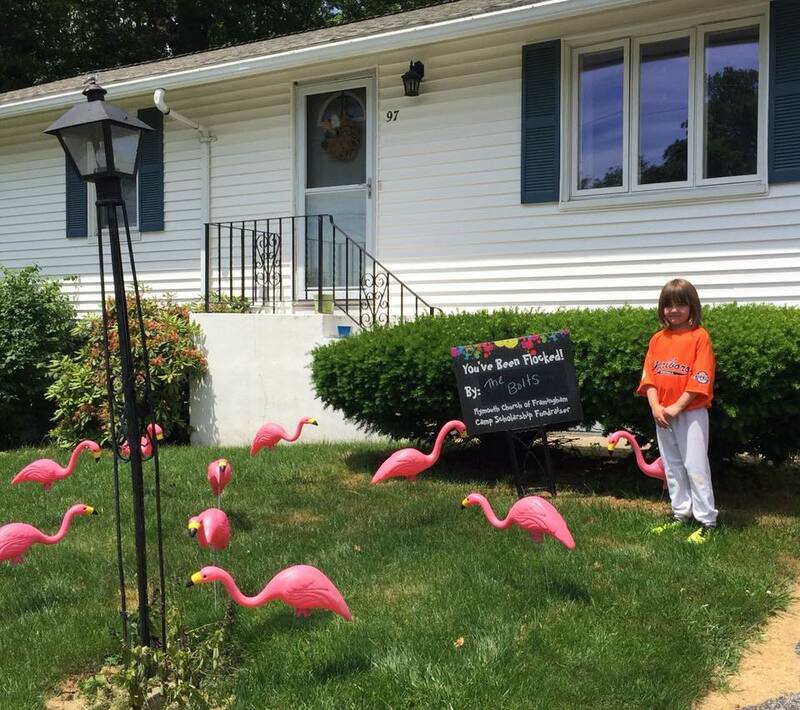 For complete information and FAQs about our Flamingo Flocking fundraiser, click here.